This home is situated on one of the most coveted blocks in Highland Park and walking distance to Armstrong Elementary and Dallas Country Club. The home boasts elegance with high ceilings, natural light and it is perfect for entertaining and family living. The kitchen opens to the family room that overlooks the lawn and pool which is surrounded by landscape for complete privacy. The master has his and her baths and a sitting room. All bedrooms have ensuite baths and the home has quarters over the garage. Directions:From Toll road go east on Mockingbird, turn right on Oxford, turn left on Stratford, the second house on the left. Listing provided courtesy of Alex Perry, Allie Beth Allman & Assoc..
SchoolsClick map icons below to view information for schools near 3656 Stratford Avenue Highland Park, TX 75205. Home for sale at 3656 Stratford Avenue Highland Park, TX 75205. 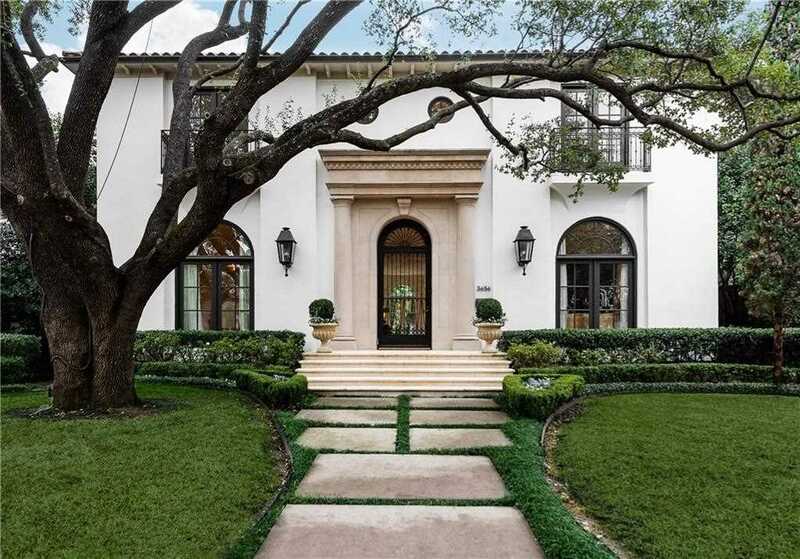 Description: The home at 3656 Stratford Avenue Highland Park, TX 75205 with the MLS Number 14020891 is currently listed at $5,000,000 and has been on the Highland Park market for 72 days. You are viewing the MLS property details of the home for sale at 3656 Stratford Avenue Highland Park, TX 75205, which includes 4 bedrooms, 5 bathrooms and has approximately 6279 sq.ft. of living area.